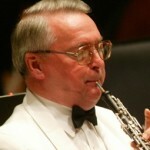 Joseph Robinson was Principal Oboist with the New York Philharmonic from 1978 until his retirement in 2005. In this interview with Gerald Klickstein for The Musician’s Way Blog, he speaks about music making, artistic development, and various aspects of living the orchestral musician’s life. GK: Before your successful audition for the NY Phil, how did you go about refining the skills that enabled you to win that audition? JR: Before the New York Philharmonic principal oboe audition in December 1977, I went into hard training for an extended period of time (for once), as if preparing for the Olympics. I put a chart up on my studio wall, outlining a practice routine that included systematic drills of long tones, articulated and slurred scales, arpeggios, and trills—all at different metronomic settings, and ending with 50 correct repetitions each day of “Le tombeau de Couperin” and “La scala di seta.” The training sessions took about 2 hours and 15 minutes to accomplish, and I did not miss a one for 32 straight days. By the time I walked out onto the Avery Fisher Hall stage to audition, I was in the best shape of my life and so ready to get that practice monkey off my back I was not nervous at all! GK: What were some of your most memorable experiences performing with the New York Philharmonic? JR: In 27 seasons with the New York Philharmonic, I probably performed in 4,000 concerts. Among the most memorable were my first concerto appearances (Vivaldi D minor) in December 1979 and my first tours abroad, especially the Asian Tour in 1979 with Leonard Bernstein, when we recorded Shostakovich 5 in Tokyo. Another highlight had to be the 10,000th NYP concert (Mahler 2) with Zubin Mehta and performances in around 1988 of the same Mahler 2 with Leonard Bernstein. GK: Can you briefly characterize some of the ways in which you grew as an artist over the course of your 27 years with the NYP? JR: Learning the repertory took several years, as did developing a sense of projection that was sufficient for an ensemble as powerful as the New York Philharmonic. I think my phrasing, ensemble skills and general level of intonation improved as I went along, but perhaps not in the final years. GK: Were there particular people or experiences that catalyzed your growth? JR: Everyone on stage contributed to my development—colleagues, soloists, and conductors. Hearing weekly broadcasts and engaging in recordings helped refine my perception, phrasing, and projection. GK: What were some practice strategies that you employed to master the large amounts of repertoire that you’d perform each year? JR: I tried not to imitate others’ performances before encountering new works, unlike some of my colleagues who would listen to every recording they could find before rehearsals began. That meant I had less time to digest each new program, but I think I performed more authentically and personally that way, even if it made the job more stressful. GK: What sorts of self-care habits did you adopt to thrive amid the pressures of rehearsing, performing, recording, and touring? JR: “Thrive” might be the wrong word—more often I was just trying to “survive!” The reeds were a continual challenge. Often I would come home after a concert and work until 3:00 a.m. trying to find something better for the next day’s performance. GK: Besides the demands of practice, reed making, rehearsal, and performance what, in your opinion, are some especially challenging aspects of working in a top orchestra? JR: Perhaps I was more susceptible to the “siren’s call” of the extra-musical dimensions of my career than most of my colleagues, since my academic degrees and experience included PR work, development, and administration. I was surprised to discover how much pedagogy came with the position (I once had 15 students at the Manhattan School of Music), and how much executive responsibility was part of a principal position in a major orchestra. Commuting ten hours a week from New Jersey across the George Washington Bridge and down the West Side Highway was sometimes the hardest part of the job! GK: How did you go about meeting those challenges? JR: To deal with the morning commute, I left home sooner and sooner each year, and I persuaded the Manhattan School to hire an assistant oboe teacher for my studio. My NYP contract permitted me to take many additional weeks off from the orchestra, although I never did use all of that “recovery” potential. GK: What are some of the ways in which the interpersonal dynamics and culture in the Philharmonic changed and remained stable over time? JR: Like a supertanker fully loaded, the New York Philharmonic requires much effort over a long period of time to have its course changed perceptively. 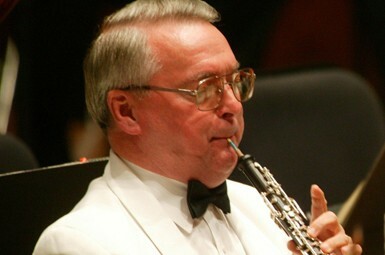 Music directors, executive directors, and board chairpersons have come and gone through the years, and new players have arrived to reconfigure the ensemble every season, but there is something about the mission and personality of the orchestra (like that of the New York Yankees) that has stayed the same through the years. GK: What are a few things that you do to attain optimal artistic outcomes when working with diverse conductors? JR: With a few notable exceptions, and despite the reputation of the orchestra when I arrived in 1978, the New York Philharmonic was receptive and responsive to musical leadership from guest conductors throughout most of my career. Competence was more often evident from the podium than inspiration, however. Many new conductors, like birds before a snake, were frozen with fear in front of the New York Philharmonic; but those possessing confident authority and skill could always educe from us the highest level of musicianship. GK: Can you give some examples of particularly memorable musical interactions with conductors? JR: I have mentioned Bernstein’s Mahler as a high point in my experience. Zubin’s Bruckner 9 was a revelation, as was Damnation of Faust with Sir Colin Davis. Erich Leinsdorf, who often was pedantic and dry, once conducted sublime performances of Schumann’s 2nd and the Beethoven Pastorale Symphony. Masur made Peer Gynt and the Reger Variations seem monumental, and we were inspired by just about everything Riccardo Muti wanted to conduct. GK: Do you recall any similarly remarkable musical experiences that took place between you and your fellow players? JR: One of the most satisfying dimensions of musical performance is the experience of creating a perfect blend. Jeannie Baxtresser, who played principal flute sitting next to me for many years, used to call me her “stage husband!” There is something intensely intimate and satisfying about excellent ensemble. As a newbie oboist, this was inspirational but my big question is how did he manage to practise for over 2 hours every day. I practise for 20 minutes and I think my jaw is going to fall off! Terrific story, Gretchen – thanks for sharing it. What wonderful insights and analogies! Great interview. While in grad school @ Westminster Choir College, I had the opportunity of singing w/the choir in NY w/The New York Philharmonic. For one performance, I found myself walking onstage w/Joseph Robinson! He was very sweet, kind, and friendly. During one run of performances, Monserrat Caballe and Joseph Robinson had a duet of, I think, 2 pages. Since Caballe’s loves to float high notes and Robinson practices circular breathing, they magically produced an entire piece without breathing! “Meet you at the double bar” took on a whole new meaning.